More than just the results of over a century’s worth of research into skin go into every NIVEA Creme tin. They also contain the memories of so very many people for whom NIVEA is a part of everyday life. NIVEA Creme for daily face care. The unrivalled skin care for every skin type. In addition to Eucerit, NIVEA Creme also contained glycerin, water, a little citric acid and its fine scent. This effective formula has been carefully adapted and improved over the decades. If you want to do something really good for yourself and your skin, then this cream is a must-have. With its firm consistency, every moisturising moment is a moment of nurturing care for your body and soul. Applying this firm, rich mixture simply takes a little bit longer. Rubbing it in rapidly and roughly damages the skin. It is best to massage the cream into your skin with calm, even strokes. And give it time to absorb. Moisturising gives you a moment of pleasure in your everyday life. Take your time and celebrate yourself consciously: listen to your favourite song. Or enjoy a cup of a relaxing infused tea. Or take a few moments to relax with your eyes closed. If you find that NIVEA Creme is too thick for you, we recommend trying the lighter NIVEA Soft. Before NIVEA Creme’s success story started, something else quite different had to be invented: Eucerit. Eucerit acts as an emulsifier and combines oil and water into an extremely fine, stable mixture. Fortunately, Dr Isaac Lifschütz had developed this completely new emulsifier by 1911. Dermatologist Professor Paul Gerson Unna admired Dr Lifschütz’s specialist knowledge in this area and presented it to Dr Oscar Troplowitz, the chemist and co-founder of Beiersdorf, the manufacturers of NIVEA. He immediately recognised that the water-in-oil emulsion was the perfect basis for a cosmetic skin cream. All they needed now was a name, NIVEA Creme. NIVEA Creme - The original moisturiser for the whole family. NIVEA Men Creme - The non-greasy moisturiser made for men. NIVEA Soft - The highly refreshing moisturising creme for everyday use. Since our company was founded, we have dedicated ourselves to caring for your skin. We continue to develop highly effective products that work in harmony with the skin’s own functions, meaning that your skin gets exactly what it needs. 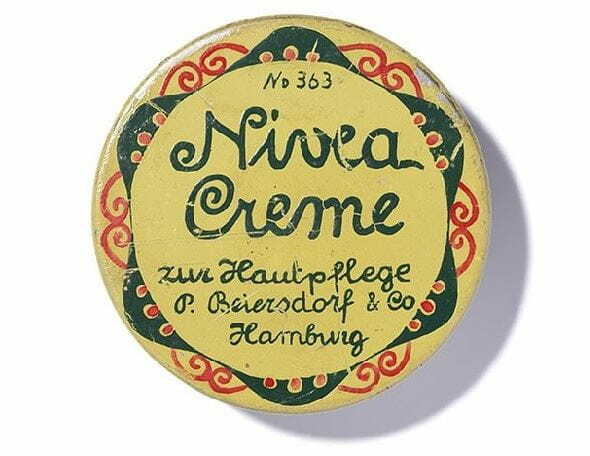 When NIVEA was first launched over 100 years ago, the entire research activity was done by just three people: Dr Oscar Troplowitz, Prof. Paul Gerson Unna and Dr Isaac Lifschütz. We now employ over 500 research and development employees to unlock the complex processes that take place in the different levels of the skin and to develop new, effective skin care products. Over the decades, we have developed many ground-breaking products such as our skin cream, body lotion, sun cream with SPF, a special men’s range, pump sprays, skin care for mature skin, anti-staining deodorant and even anti-ageing products with Q10!